When I was little I wanted to drive a VW Golf. 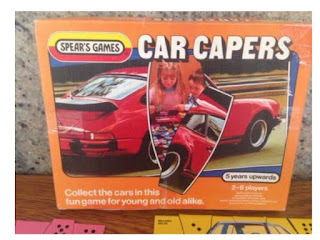 Bit of a random choice I know, but it was down to a game my brothers and I used to play called 'car capers' and the Golf was always my favourite. When I got older and (finally) learned to drive I had whatever car I could afford at the time, but given a choice, if money were no object, I'd have loved a little mini or a beetle. Or even a micra. The key here being that I wanted a small car. Little. Cute. Compact. Easy to get into parking spaces. That kind of thing. I'm 5ft 1. A little blue mini would suit me perfectly. Never, not in a million years, did I covet a van! A great big heaving hefty lump of awkwardness? An ugly enormous monstrosity impossibly difficult to park.? Nope. No thanks. Not for me. Then along came Hugh. And with him came tonnes of gigantic and cumbersome equipment. No little fold away neat little strollers for us. We had a huge over-sized special needs buggy which even a world champion body builder would struggle to fold and lift into the boot of a car. Along with oxygen and the feeding pump and the bottled feeds and the beanbag ... Just a night at my mums required so much flipping stuff! I'll admit I was vain when I first began looking for a motability car. I wanted a 'car' not something that looked like a van. I was adamant I could lift Hugh in and out. I pretty much refused to consider any alternative. But even at that, even lifting Hugh into a car (rather than pushing him in in his wheelchair) I'd still need a giant of a car! I eventually chose a VW Sharan and with its side sliding doors and huge boot space it was perfect... For a while. So Hugh started growing, as children do. And the bigger and heavier he got, the more I struggled to lift him. Until I eventually realised we've reached the point where we need a wheelchair accessible vehicle (WAV). I've searched online and contacted a few dealers. It looks like we'll need a medium sized WAV rather than a small one as I specifically want enough seats to take the 4 of us plus a carer for Hugh if I need to. Also I don't want Hugh to be right at the back of the car- I need to be able to see him and get to him quickly in the event of a seizure. I'm keen to have enough space to fit in his ginormous beanbag or his trike both of which take up quite a bit of room. I also need to think about whether we want a lift or a ramp to get him in the back of the car. I've heard pros and cons for both but I think I'm leaning towards ramped access so long as the rear of the car is low enough to ensure the ramp is neither too steep nor too long. And I'll definitely need parking sensors! Heaven knows how I'm going to manage to drive and park something the size of a small tank! Another thing to consider is the advance payment- the non-refundable payment that we need to provide upfront (this is not covered by the DLA). It looks like this will be upwards of around £5000. However one option we may consider is to look at getting a nearly new model as the advance payment on these can be less. So there's a few months research ahead and then we'll be making the swap to a WAV. Can't say I'm looking forward to it to be honest but my back will thank me and I'm sure it will be better for Hugh. Might be worth giving me a (very) wide berth if you see me driving around though! I bet! That's the thing with these blue badges- fab when you've got the kids with you- great big wide spaces but when you're stuck with an enormous van and trying to squeeze it into a regular space!!! Eek! Wow, thanks Lynsey - loads of really good advice here. Really appreciate that. I wouldn't have thought about the winch or the tinted windows (the Gangsta black outs made me laugh!!!) You're right though - it makes sense to get it right now or could be even more costly in the long term. Thanks again for your help.